I don't think I'm speaking for just myself when I say that it's nice to see a musician play a musical instrument. In this new video of Toro y Moi, Chaz Bundick says that one of the goals for his latest record was "trying to get out of the laptop." After seeing too many Brooklyn bands perform behind an Apple logo, it's nice to see a laptop guy like Bundick jump behind the keys. 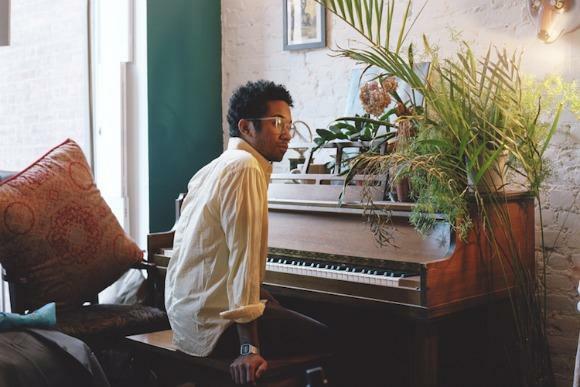 Check out the video of Toro y Moi playing "High Living" live at Different Fur Studios, where the new album Anything in Return was recorded.